Celebrating it’s 25th anniversary in 2014, Toyota’s premium brand, Lexus, has come a long way since the early years when it grew up as a brand that was focused solely on the US market. It opened up its range to the rest of the world in 2005, and since then, sales have continued on an upward path, with the exception of a few years between 2008 and 2011 when the tsunami hit Japan and global economic conditions were challenging. Today, Lexus’ hybrids account for 95% of total sales in Western Europe (excluding Russia), and with forthcoming model introductions, the manufacturer aims to sell 100,000 units across the continent in 2020. The rear-wheel drive RC F is the latest model to join the Lexus stable, following closely behind the recently-launched NX crossover which also made its debut in September with the help of the singer-songwriter Will.i.am. As for the naming of the new car, R stands for Radical, C denotes Coupé, whilst F is Lexus’ performance line (it started in 2007 with the IS F), a letter inspired by the Fuji Speedway, the race circuit in Japan where much of the company’s high speed development takes place. 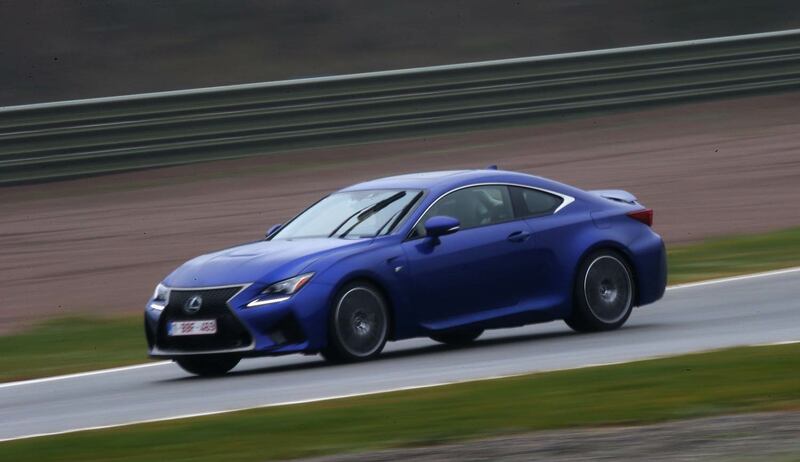 The Lexus RC F is a vehicle that has been designed to perform both on the road as the day-to-day run-around, and on the track, appealing primarily to those in their 30s to 50s as a second or third car according to the firm’s marketeers. If all goes to plan, they expect to sell around 500 RC F models each year in Europe up until the end of 2016, thereby keeping it exclusive relative to competitors in its class such as the BMW M4 or the Audi RS-5. The development team behind the €400,000 V10 LFA supercar was also responsible for creating the RC F, and duly transferred some of the technology and styling cues used in its older cousin. Looking at the bold and dynamic exterior curves, the front is characterised by Lexus’ now signature spindle front grill, which is flanked by L-shaped LED running lights, three-LED lamp headlights and large air ducts on each side to cool the brake discs on the beautiful 19-inch rims. The rear of the RC F draws just as much attention due to its sharp edged taillights and a double helping of stacked twin elliptical exhausts which have been sculpted to symbolise power. 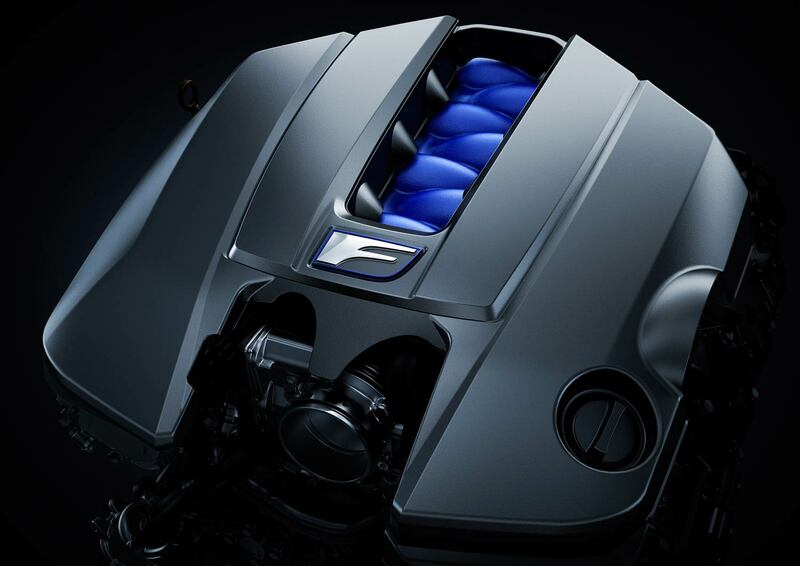 Under the RC F bonnet lies a new 5.0 litre 477 PS (471 hp) V8 engine and 530 Nm (391 lb ft) of torque, making it the most powerful V8 ever produced by the automaker. Mated to an eight-speed Sports Direct Shift (SPDS) transmission, the RC F can be catapulted from a standstill to 100 km/h (62 mph) in only 4.5 seconds and to a limited top speed of 270 km/h (168 mph), which is impressive considering the RC F tips the scales with a kerb weight of 1.84 tonnes. On the inside, the very spacious leather-clad cabin features a driver-focused design which has been split into two different zones: display and operation. The former provides all the key information, whereas the latter, which sits underneath, is where all controls can be found. 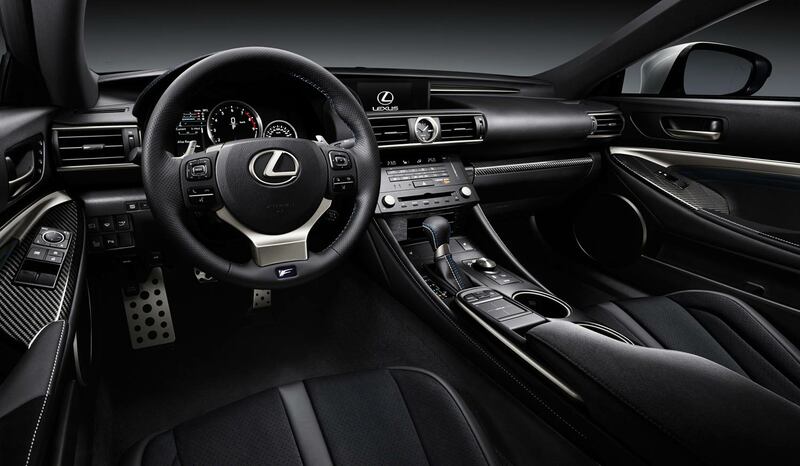 The multimedia screen, positioned adjacent to the steering wheel, houses the audio and satellite navigation system, amongst other functions, which is accessed via an intuitive mouse-like touchpad (named the Remote Touch Interface) mounted on the centre console. Furthermore, the RC F features an adaptive digital meter (instrumentation panel) where the RPM display changes with the four different driving modes, which are namely Eco (prioritises fuel efficiency), Normal (the default when the engine is started), Sport S (optimises the gear ratio selection for high performance driving) and Sport S+ (allows quicker downshifts and adjusts the power steering for the track). The meter for Sport S+ also displays a lap timer for when on the circuit. The other two main systems found in the RC F are the Vehicle Dynamics Integrated Management System which helps the car behave in a safe yet dynamic way when driving, and the Torque Vectoring Differential which enables optimum torque transfer between the rear wheels, thereby significantly enhancing traction and control to guarantee extraordinary levels of handling and performance. 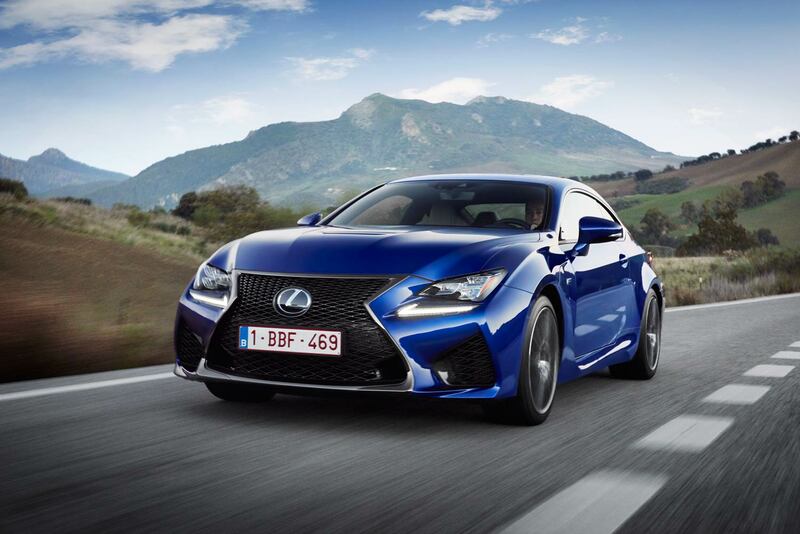 So what’s the RC F like to drive? We tested it in Sport S+ mode in damp conditions on the highly technical and undulating Ascari circuit in Southern Spain. 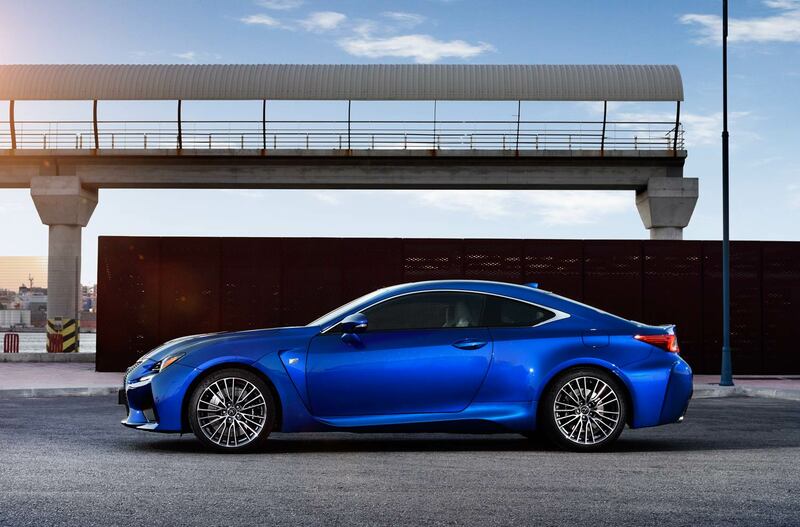 The Lexus RC F is extremely well balanced and the rear wing is automatically activated at speeds above 80 km/h for increased stability, and retracts when the car falls below 40 km/h. It’s surprisingly simple to drive which goes back to the car’s prime objective of being able to accommodate different abilities, from novice through to expert. 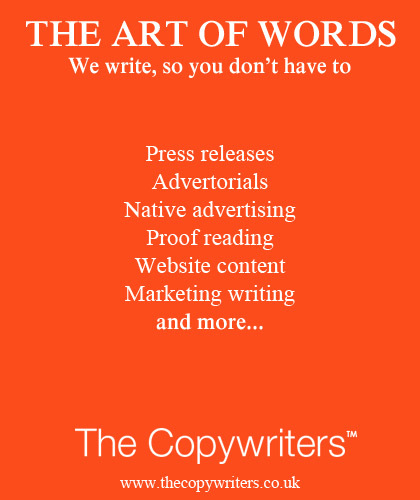 It feels planted with oodles of grip. The level of feedback is good, and steering is extremely responsive and precise thanks to the solid three-spoke wheel which has been created to offer improved control and performance. This therefore makes it easy to guide the RC F through corners and hug the apexes. Gear changes can be controlled using the paddles for those who do not wish to keep to the pre-defined ratios. Sound is another important part of the Lexus RC F experience, and the growl, especially that produced during downshifts is sublime, and in a way, addictive. Stopping power comes courtesy of the all-new six-pot Brembo braking system. 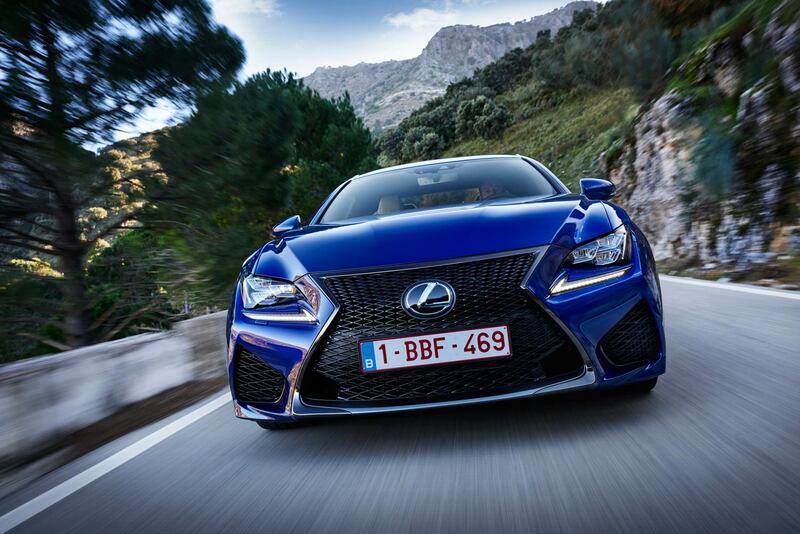 Out on the twisting roads of Andalucia, the ride is extremely smooth, and the RC F is indeed effortless to drive. Comfort is another key selling-point of this car, and the electronically adjustable high-back sport seats are extremely supportive, engineered to reduce driver movement during acceleration, braking and cornering. 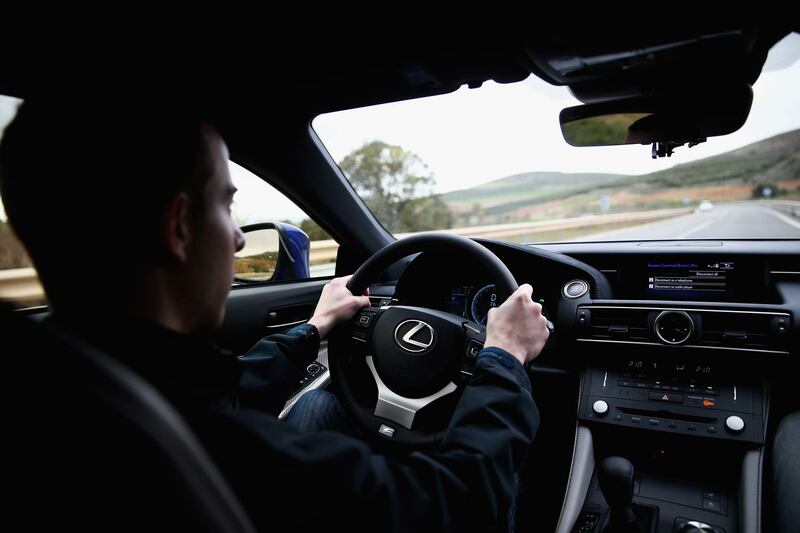 We also put the 17-speaker, 835 watt Mark Levinson surround sound system in the RC F (available as an option) through its paces using various genres of music. It delivered in each ‘test’ as a result of being equipped with ClariFi technology which turns any MP3 track into CD quality. In summary, the RC F is a good all-rounder, and is a clear demonstration of the significant strides that Lexus has made to become a major player in the segment. Although there is still work to be done versus rivals, these are exciting times for the brand, and the Lexus RC F clearly sets the bar high for what is to follow. 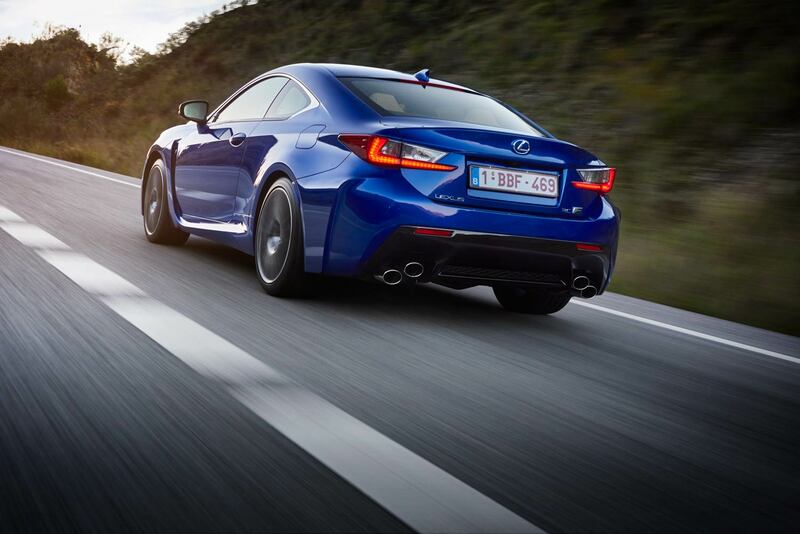 The Lexus RC F goes on sale next month priced from £59,995 in the UK (around €70,000 plus local taxes).